iPad actually came as a blessing to all slots lovers with its delightfully responsive touchscreen, and the superior imaging and display quality. The simplicity of the games and the fact that they can be played wherever and whenever is what draws the players to these slots even more. iPad users just have to search for any available iPad slots websites and sign up with the one they prefer. Right after that, they can start playing their favourite slots either for real money or for free. Nowadays, there are more and more stunning online slots available on the iPad. All the major software providers have recognized this huge potential and made their flagship games available on these powerful devices, too. To make your choice perhaps easier, we have singled out 15 slots for iPad you’ll love to play. 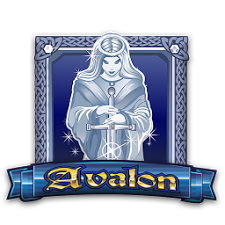 Embark on Avalon slot adventures quest and travel back in time to the land of King Arthur to find the Lady of the Lake. But bear in mind that she won’t give you a sword as expected. Instead, 3 or more Lady of the Lake symbols will get you 12 amazing free spins with a possibility of getting a fantastic 7x multiplier and even more free spins. During the free spins a Treasure Chest might appear to double your winnings. Also you should remember to keep your eyes open at all times, so you don’t miss the beautiful Avalon Castle that can show up anytime and anywhere and multiply your winnings yet another 2x. Except for the action packed game play that you all love, what sets this slot apart from all the other ones is the fact that this is the first Microgaming’s mobile slot with the free spins feature. 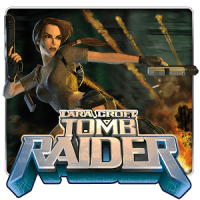 Help Lara Croft plunder some treasures in this exciting video slot from Microgaming which was designed after the well-known video game. Whether you are a fan of hers, or not you will love the fearless, crafty and hot version of her that was depicted here. Cool graphics and fun features, including a pick and win game and a free spins bonus round, will make you love the Tomb Raider slot. What’s more, you will love that nothing has been lost in its transaction to a mobile slot. 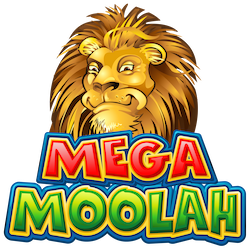 The Mega Moolah slot is one of the best video slots of all times with not one but 4 progressive jackpots you can win if you get lucky enough. Right now, the jackpot is over 13 million and it can burst any second. The great thing about this game is that it doesn’t matter how much you stake. Whether you set the minimum bet or the maximum, you stand a good chance at winning the jackpot. The feature is randomly triggered and there’s no guessing when or who it will come to. It’s all a game of luck and you never know, it could be pointing at you. You just need to be in it to win it. Gonzo’s Quest slot is a beautifully-designed video game from NetEnt that takes you on a journey to ancient Peruvian ruins. It has a breathtaking atmosphere and eye-catching symbols that create a truly unique gaming experience. Perhaps, the reason why this video slot is so popular is hiding among its many exciting features such Free Fall and Avalanche. The mere introduction video will get you hooked as it reveals that you are about to start spinning the reels of an amazing 3D video slot, with beautiful graphics and features. Those of you who still haven’t played the NetEnt’s Twin Spin slot are in for a real fun time. 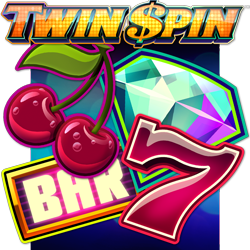 The game combines traditional slot symbols like Bars, Cherries, and Bells with a modern five-reel video slot layout. At the first glance this might seem as a boring, old school slot game, but you’ll quickly discover that it’s packed with powerful features which can easily lead you to big wins. For example, on each spin, two randomly chosen adjacent reels will be transformed into identical twins, increasing your chances of having a winning spin. And that’s not all. If you spin at just the right time, the game’s engines will rev, and a third reel will also be transformed to make matching triplets. Get really lucky and you could get quadruplets or even quintuplets, guaranteeing a big win! With its exciting fairytale theme, great graphics, awesome features, and the chance to win up to $300,000 on a single bet, it’s no wonder this slot is one of the most popular NetEnt games. 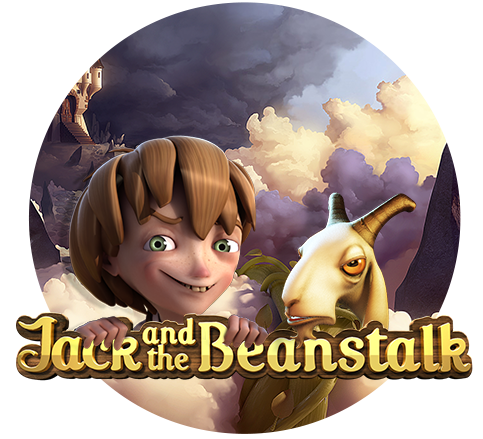 Jack and the Beanstalk slot is a truly magical video slot experience with 3 fairytale-inspired features. First, every single wild is a Walking Wild. When one appears, it will stay with you for a couple of spins, moving one reel to the left every time until it falls off. Plus, you can win the Giant’s Free Spins, and unlock all sorts of golden-plated wild features with the Treasure Collection bonus. 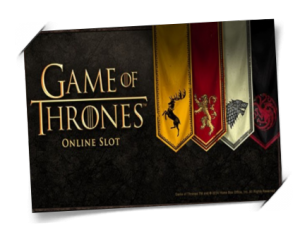 Wherever they are, all fans of the Game of Thrones slot are given the opportunity to serve one of the Houses (Baratheon, Lannister, Stark and Targaryen) during the free spins selection feature which is triggered by three scatter (Iron Throne) symbols. In each house there are more fabulous free spins waiting for players. The adventure continues for players if they choose to embark on a quest of epic proportions with the gamble feature, and many others as you travel through seven kingdoms of Westeros with Microgaming. In the end, it’s always best to experience the game for yourself. So, don’t waste any more time, make a pick and start spinning the reels. Whichever slot you choose to play, you’re sure going to have lots of fun. Don’t be shy and come back to share your story with us. And keep in mind that this list is just the tip of an iceberg and there are many more free online slots for you to enjoy right here on Gamblers.Casino.